I found this special of Preachers of LA Season 2 on line and of course I had to share it with you. This is a pretty explosive reunion special. I’m not going to go into particulars so you will watch for yourself. And of course I hope that this leads you to watch the entire season of Preachers of LA. Trust me, you’ll get ministered to. That’s why io like the show so much. Check it out. I just saw this trailer for the controversial “Preachers of LA” Season 2 and it looks like it’s going to be good. This is one show that I truly enjoy. A lot of people place preachers high on a pedestal when obviously they should not be placed there. Nobody on this planet should. That’s what Jesus said!!! Let’s stop putting people in places where they absolutely have no business. Don’t look to the man. Look to GOD!! !… and enjoy the ride of your life! 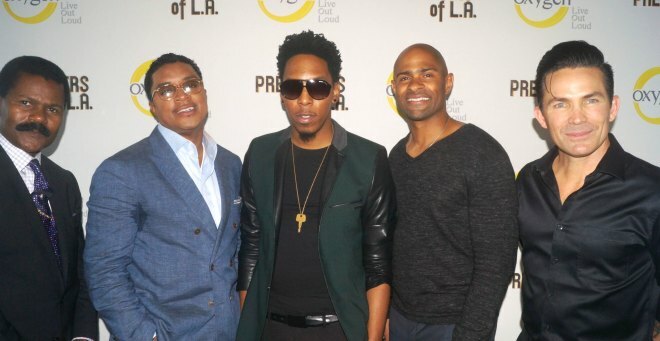 In case you haven’t heard, Oxygen is bringing back the controversial show, “Preachers of LA” for a 2nd season. Several people including TD Jakes and Kirk Franklin have spoken out negatively about this show. Obviously they are entitled to their own opinions, yet there are many who disagree with the opinions that they have expressed. If you get a chance, watch the show for yourself. Personally I think that you certainly can/will get ministered to as you see this show. You get an opportunity to see certain aspects of the realness that these ministers encounter on a daily basis. Too often these ministers are placed on a pedestal and we know that no one on this planet belongs on a pedestal… no one!!! Check out the short trailer for the new season below. Also check out Deitrick Haddon’s “Great God”. *Not only will Oxygen return to the pulpit for a second season of its breakout reality series “Preachers of L.A.,” but the network is currently casting new editions of the show set in New York, Atlanta, Dallas and Detroit. The original LA series will premiere this fall with Bishop Noel Jones, Minister Deitrick Haddon, Bishop Clarence McClendon, Pastor Jay Haizlip, Pastor Wayne Chaney and Bishop Ron Gibson. “Preachers of L.A.” gives viewers a candid look at the lives of mega-pastors in Southern California. “Preachers of L.A.” hit rating milestones by becoming the most watched freshman series in network history among ages 25-54 and averaging over one million total viewers. Delivering digital success as well, the series averaged more full episode streams per week in season than any other Oxygen original series and was the #10 most social cable reality program in October and November. On VOD, “Preachers of L.A.” earned over two million transactions. And I can’t even think about closing out this year without mentioning my favorite reality TV shows, “The Preachers of LA. This show, in my opinion, ministered to a lot of people. I did hear some negative comments about the show but those comments mostly came from people who did not watch it. People please listen to me: If you are going to make a judgment, please make an informed one. ‘Nuf said.